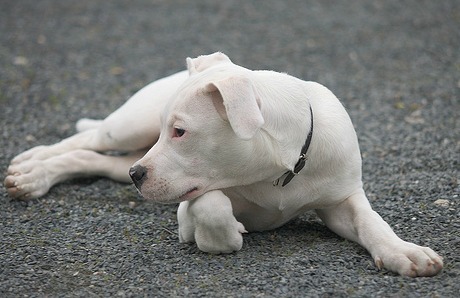 The Dogo Argentino is not as common as other large breed guarding dogs, like the German Shepherd, but his loyalty, fearlessness and loving personalities make him a good family dog. Unfortunately, because of the Dogo's athleticism and hunting abilities, he has become the breed of choice for some dog fighters and has been given an aggressive reputation. He is still banned in some countries including the UK, New Zealand, Norway, Denmark, Iceland, Singapore, Ukraine and Israel. Although he was bred to be a hunter (hunting namely wild boars), he was also bred to be gentle with people. They are very loyal with family members especially with children and get on well with other animals when properly trained. Dogos need plenty of physical activity and mental stimulation because he is such a powerful, high-energy dog. This Argentinian dog breed has been trained for search and rescue, military service and police work. The Dogo is NOT recommended for first-time dog owners. He can be strong and determined, and he needs solid, confident leadership and training. 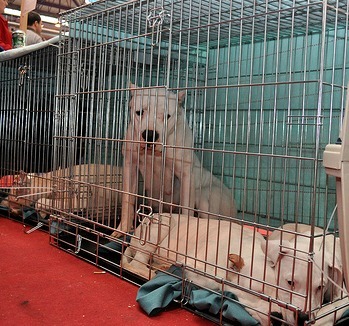 Created in 1928 by Dr. Antonio Nores Martinez in Argentina, Dogo Argentinos are also known as the Argentinian Mastiff. Dr. Martinez was said to be an avid hunter and wanted to create the perfect hunting dog. While the dog received official breed status by the Argentine Kennel Club in 1964, the American Kennel Club has not given the same credence. 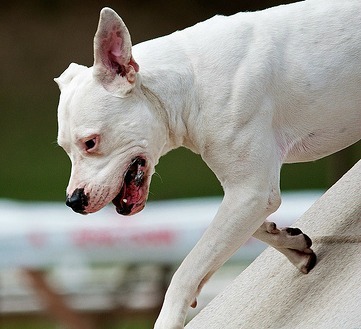 As shown by his working history, Dogo Argentinos are very intelligent dogs who are easily trainable although some owners have noted that they are a bit stubborn. Basic obedience commands (sit, stay, come) should be reinforced as early as possible before he grows in size and strength. Socializing this breed with other dogs early on is very important. The Argentinian Mastiff is a natural guard dog and may be suspicious towards other dogs which can result in dominant behaviour. Dogos respond best with consistent, positive reinforcement. 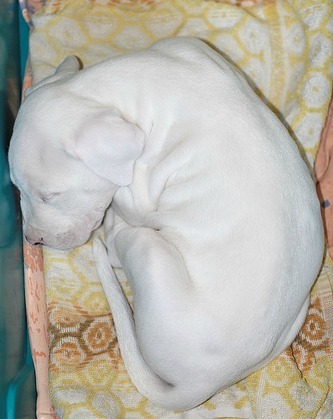 As members of the Mastiff family, Dogo Argentinos are natural protectors and can be easily trained as guard dogs. In fact, unless used for specific hunting purposes, the breed is more readily known as a guard dog. Because of his muscular nature and proud, noble stature, he has an imposing presence that can definitely put off unwanted guests! 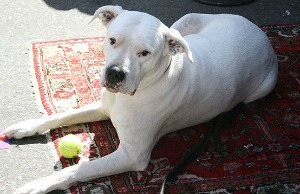 The Dogo’s coat is short and smooth with no undercoat. Grooming is fairly easy with brushing only needed once or twice a week. Because of his light coat, he can be susceptible to sunburn, so leaving this breed outside in direct sunlight for a lengthy amount of time is not recommended. Some Dogo owners crop their dog’s ears while others don't. If his ears are cropped, they can easily collect dirt and debris. Wiping out his ears once a week should keep them in good health. 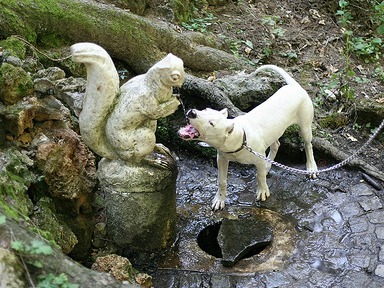 Dogo Argentinos are known to love the water and so bathing is not difficult and frequent bathing is unnecessary. In fact, bathing him too often may cause harm due to his skin sensitivity. The nails of this Argentinian Mastiff grow very quickly so they should be clipped and sanded regularly. The Argentinian Mastiff is generally a very healthy, robust dog. Due to his short, lightly coloured coat, he does best in a warm climate, although he is susceptible to sunburn. This is a fairly uncommon breed so I couldn't really find too many famous ones! In 2004, an Argentinian film titled Bombón: El Perro starred a Dogo. It tells the tale of a struggling man named Juan “Coco” Villegas who is given a Dogo as payment for work. He trains him and enters him into competitions. His friendship with Bombon grows as does his luck. I recommend reading up as much as you can before getting a Dogo, and I strongly recommend the book below!